APQFFA Film and Culture Forum speakers and audience pose for photo. 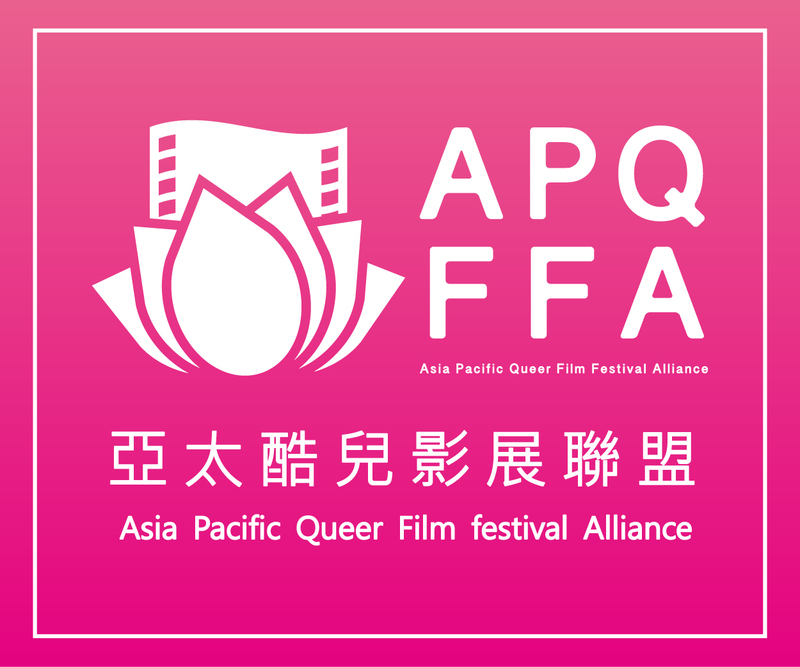 This year, the Asia Pacific Queer Film Festival Alliance (APQFFA) Best Short Prize was held in Taiwan, bringing representatives from APQFFA all over the Asia-Pacific to converge in Taiwan. The opportunity to host a 3 panel discussion forum for APQFFA representatives was capitalized. The first panel, “Towards East Asia and Confucian Culture”, hosted by TIQFF festival director Vita Lin, featured guest speakers: Hong Kong Gay and Lesbian Film Festival director, Joe Lam; Rainbow Reel Tokyo representative, Kenta Kato; CinemQ Shanghai representative, Will Dai; Shanghai Pride Queer Film Festival director, Raymond Phang; to discuss the impact of Confucian culture on their respective societies and film. In forum 2, “Towards South East Asia and Multi-ethnicity/religion”, hosted by Assist. Prof. Ke Wan-Ching of Fujen University, Dept. of Communication Arts, featured the guest speakers: AKS International Minorities Festival (Pakistan) representative, Mr. Aziz; Yangon &Proud (Myanmar) representative, Aye Lin Htet; IndigNation Singapore festival director, Muslim Sahib. The speakers shared the complex circumstances of queer peoples in their respective regions, their challenges under current political climates and their own observations of trending issues. For forum 3, “Towards the Pacific and Indigenous People”, hosted Assist. Prof. Meg M. Lu, with guest speakers Dean Hamer of Honolulu Rainbow Film Festival (Hawaii) and Australian Director Goran Stolevski of You Deserve Everything, discussing Polynesian ethnicities and colonial legacies and their impact on queer communities. Through this 3 panel discussion for the APQFFA forum, speakers from various backgrounds engaged in in-depth discussions, reinforcing the links between respective nations’ film festivals. In forum 1, representatives from Hong Kong and China, Joe Lam and Will Dai, shared their thoughts on: the differences in queer cultures between first-tier cities and second-tier cities; that the essence of Confucianism places emphasis on the “society” as the primary value; filial piety as core cultural beliefs; emphasis on “family”, marriage, and one’s “duty”. But in recent times, with increasing economic prosperity and open-ness to western values, gender diversity, diverse family structure, and womens’issues, more people are becoming aware of these issues ingrained into the fabric of our daily lives through television, movies and art. Rainbow Reel Tokyo’s Kenta Kato, spoke of Japan’s 1970-80’s economic boom, maintained a normativity and “mainstream” for everyone. But in the 1990’s the economic bubble burst, and the disillusion came along with it, creating an emergence of queer film. In recent years, despite the lack of progress in Japanese marriage equality law, queer and cross-gender performers in hit films, like Close Knit, are generating discussions for queer issues. Festival Director Vita Lin expressed that from Taiwan’s perspective, discussions on western feminism, queer issues and discussions emerged after the removal of martial law, inspiring artists like Pai Hsien-Yung (Crystal Boys), Ang Lee (The Wedding Banquet), Yee Chin-Yen (The Blue Crossing), Zero Chou (Spider Lilies), Yang Ya-Che (Girlfriend, Boyfriend), etc., to create pioneering work in literature, television and film. In May this year, the Supreme Court’s interpretation of the Constitution on marriage equality is an important milestone, the hope is that more and more gender diverse and possibilities for families can be seen and respected. In Forum 2, the IndigNation representative, Muslim Sahib related that Singapore has many ethnicities, Chinese, Malay and Indian, as well as immigrant workers from neighboring countries (Hong Kong, China, Taiwan), making a diverse composition of Singapore’s population. Under these demographic conditions, a different culture is formed where various cultures are blended into mainstream. Aye Lin Htet, shared the situation in Myanmar, where the nation is composed of many ethnicities where the government acknowledges more than 100 ethnic groups. Mr. Aziz from the Islamic nation of Pakistan, spoke of the intolerance of sexual relations between men, punitive legal measures against gender minorities. For the duration of the forum, he remained out of the streaming video. Mr. Aziz mentioned that because of the lack of government support, queer film festivals have been driven underground. Money has to paid to the police, security has to be paid for to check identities for audience. Even promotion for the festival can only be passed through word of mouth and between friends. Hawaii representative, Dean Hamer was first to speak on Forum 3. He detailed the historical migrations and ethnic diversity of Hawaii, in particular introducing the indigenous gender neutral “Mahu”- a person with both male and female characteristics. In recent times, more media content with indigenous themes and issues are appearing in film, television, online media, broadcast in schools, airline entertainment and other queer friendly channels. Immigrant Australian Director Goran Stolevski, offered some of his observations on how some of his works are exhibited outside of queer film festivals, and how they are selected. What films need to say, is not just love stories, stories about breaking up, but to find a good story and subject, to express all its potential, to gain as much exposure. That way, this kind of queer culture does not become subsumed into mainstream culture and ignored. All 3 forums have video recordings with bilingual translation (English-Chinese) that can be found on TIQFF website.